Side One: I Thought It Was You; Tell Me A Bedtime Story; Head In The Clouds; Maiden Voyage. Side Two: Harvest Time; Sunlight; Butterfly; As. 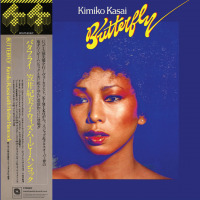 Kimoko Kasai: vocals; Herbie Hancock: keyboards, synthesisers, vocoder; Webster Lewis: organ, synthesizers; Bennie Maupin: soprano saxophone, tenor saxophone; Ray Obiedo: guitar; Paul Jackson: bass; Alphonse Mouzon: drums; Bill Summers: percussion.